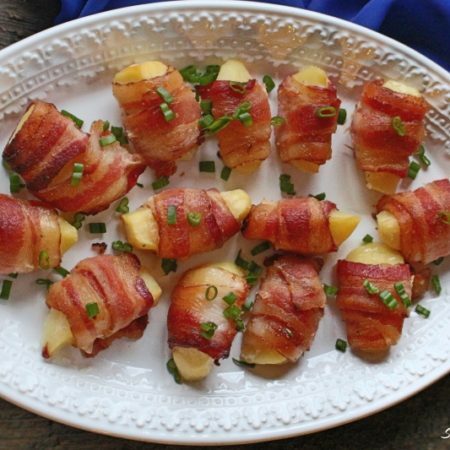 What makes this dish so unique is that these are baked potatoes, with seasoning wrapped around with crispy bacon. They are very tasty and very filling. 1.) Wash / Peel / Cut potatoes. Add potatoes into a pot of water with 1/2 teaspoon of salt and bring to a boiling point. When water starts to boil, cook for additional 5 minutes. Place your bacon and sprinkle with garlic salt. 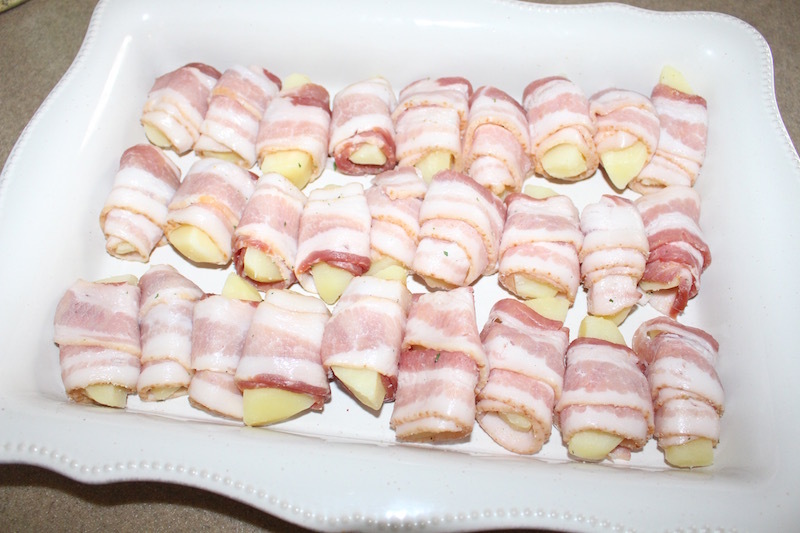 Then wrap each potatoes with a strip of bacon as shown in the photo above. 2.) 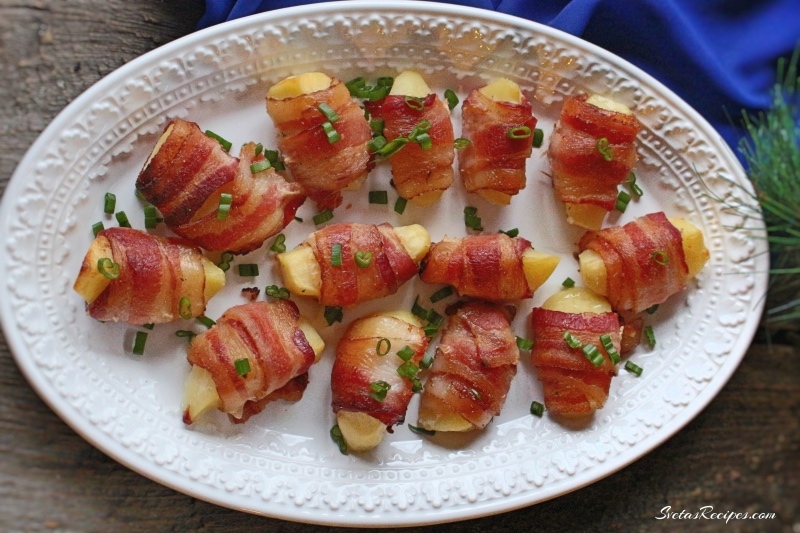 Place all of them into a baking dish and bake for 30 minutes at 375F . Wash / Peel / Cut potatoes. Add potatoes into a pot of water with ½ teaspoon of salt and bring to a boiling point. When water starts to boil, cook for additional 5 minutes. 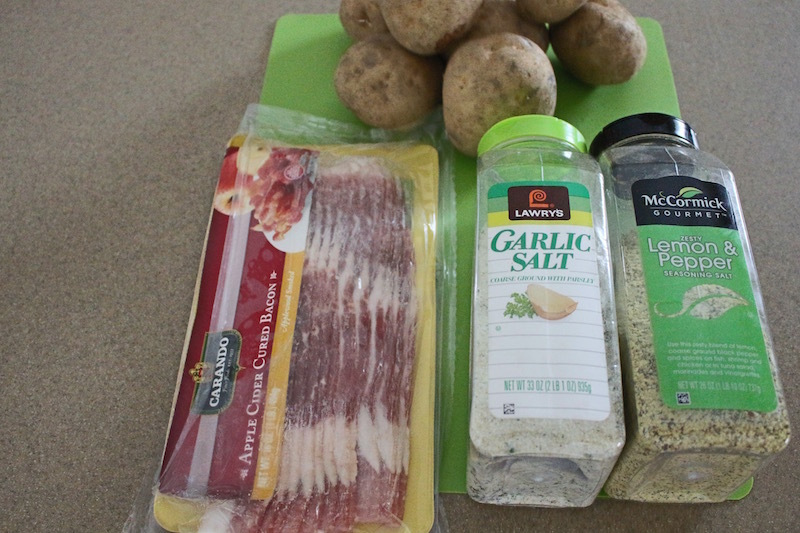 Place your bacon and sprinkle with garlic salt. 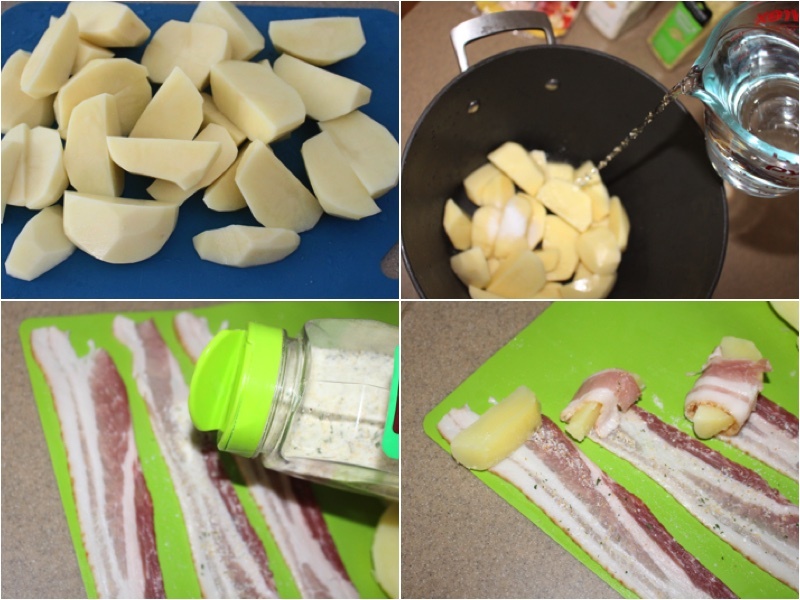 Then wrap each potatoes with a strip of bacon as shown in the photo above. Place all of them into a baking dish and bake for 30 minutes at 375F .